Kids are fascinated with chemical reactions. But learning about combustion, bioluminescence and other reactions takes a lot of work. You need both a knowledge of chemistry and the supplies to conduct experiments. Easy-to-follow instructions that also explain key scientific concepts. 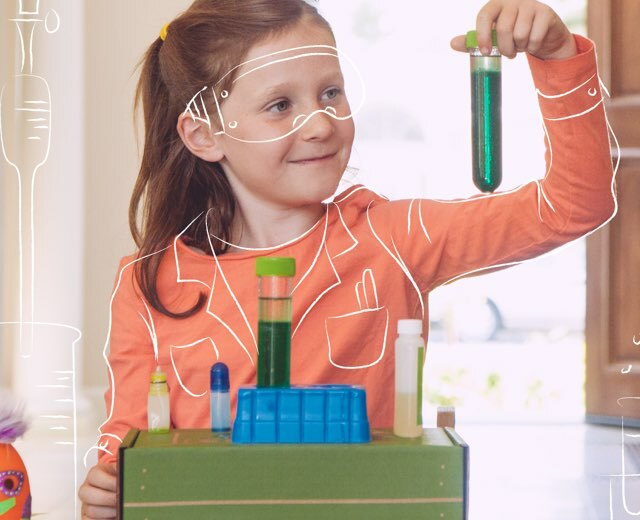 All of our chemistry sets help kids learn more about polymers, plastic, solids and liquids. With our Glow Lab, Vortex Lab and Fire Lab, we provide everything you need to explore the wonders of chemistry. You can get the Fire Lab here. You can get the Glow Lab here. Interested in all three sets? Check out our Chemistry (3-Pack) to save on the Vortex Lab, Fire Lab and Glow Lab. Get it here.